In this topic you will learn how to monitor the performance of your videos using the Analytics module. The Video Cloud Analytics Platform is a state-of-the-art, close to real-time analytics platform built from the ground up by Brightcove using the latest innovations in Big Data technology and architected for massive scale. The analytics platform offers fast, close to real-time access to analytics data and includes a powerful open API to allow developers to create custom analytics solutions and reports in addition to those included within Video Cloud Studio. Using these reports, you can generate up-to-date reports about how many viewers you have, how much content your viewers are watching, when they stop watching videos, and even the traffic sources for your content. Note that all data displayed in the Analytics module is also available through the Analytics API. For more information, see the Video Cloud Analytics API documentation. Log into Video Cloud Studio. Open the Analytics module by clicking Analytics in the navigation header. 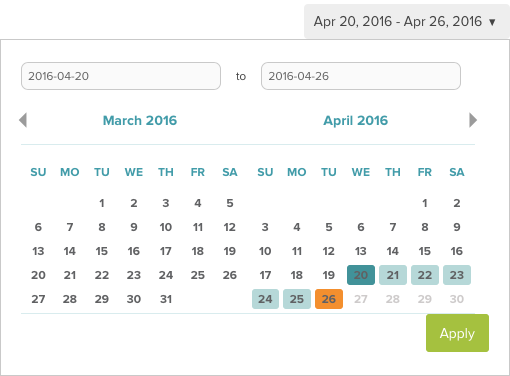 To specify the time period for the reports, you can click on a quick date or use the calendar control. Note that when a single day is selected, the graphs will display by hour. Data in the Analytics module is shown using the account's reporting time zone. The time zone is displayed below the calendar control. The reporting time zone can be configured as part of the account settings. For information on changing the reporting time zone, see Managing Account Settings. The search feature can be used to search for a specific video. A list of matches will be displayed below the search field. Clicking a video link will open the report that is "in context". For example, if you are looking at the engagement for your account and then use search to locate a specific video, clicking the link to the video will open the Engagement Report. If you are looking at the Performance report, searching and clicking a link will open the Performance Report. 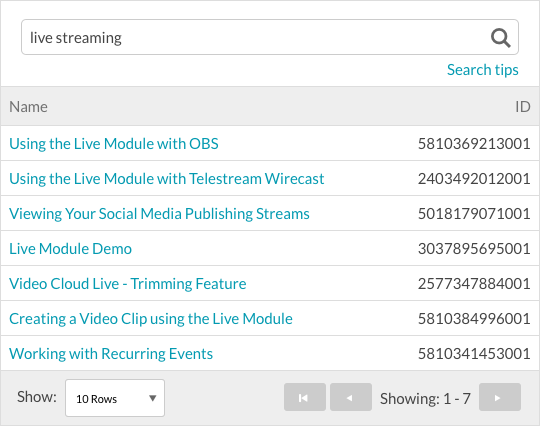 For a complete list of options that are available when searching for videos in the Analytics module, see How to Search for Videos in the Analytics Module. Note: The Analytics reports do include analytics for videos that have been deleted from your account. You cannot search for deleted videos in the Analytics module. To get a report on a deleted video, you will need to know the video ID for the deleted video and use the Analytics API to generate the report.